Dear all please check that the pdf of sai vrat book can be downloaded from 13th post of this topic by rajiv uppal ji, this same page. Baba bless all with success. Subha ji, please accept my apologies for my interference. As there were so many sisters and brothers asking about the download, I wanted to add this to the post. Baba bless you. om sai ram. Re: “SAI NAV (NINE) GURUWAR (THURSDAY) VRAT”. Sai bless you.It is Sai's grace that I saw your mail after just finishing my usual Sai Nav Guruwar Vrat. Infact I should thank Sai for making u to post in this particulat column. If anybody need Sai vrat kath in english plzz mail me at anamikanoname@yahoo.co.in , i have collected few stories and translated others and process of katha. About faast i want to know that can we eat fruits, sweets, milk and one time food or is it that i could eat fruits sweets all day or one time food. On these Nine Thursday, individual who is doing vrat can eat fruit/milk/sweets etc. all day long or can have one meal a day. ONE MUST NOT DO THIS VRAT WITHOUT EATING ANYTHING. The first post of SUBHA ji is giving you the complete details, pls go through it carefully once again. AS far as BABA's Vrat are concerned BABA only requires Complete devotion from his children and nothing less. Even if you eat I dont think BABA will mistake you, B'coz he himself doe not accept fasting. Is there any particular book for SAI VRAT Katha.If it is then how to get one. I live in virginia (USA) i couldnt find SaiVrat Katha anywhere here. If u have a softcopy could you please send it to me to bojjirupa@yahoo.com. Yes,, this is the story u have to read during ur 9 Guruwar vrat ,,on each Guruwar.. According to Sai Devotees,, All Guruwars,Thursday are special ,,not any good day & dat to do this vrat..
U can start from any thursday..
i did do last thursday vrat , had a question do we have to sit in one place and eat or we can stand also and eat . The reason why i am saying this is i have two kids and have to run around them all the time . SOme vrat are to be sitting in one place not to move at all while eating so i got little concern on this please advise me on as soon as possible. 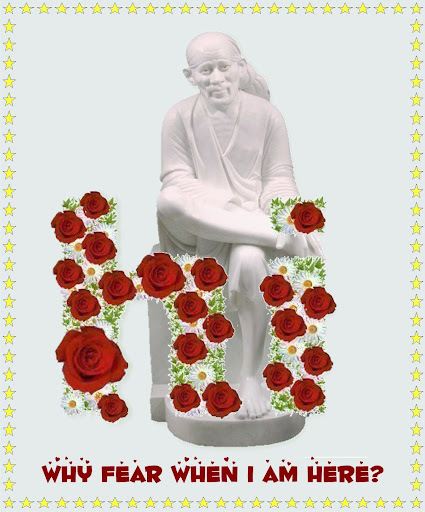 DEAR SAI DEVOTEES HERE'S SAI VRAT BOOK THAT CAN PROVE VERY USEFUL FOR ALL OF US. Thank you so much for this detail of Sai Guruvar Vrat. Actully 2 day is my 3rd day of vart.And i am working in BPO,that also night shift.Sometime by mistake i take food at night around 1 am. Than whole day i don't take anything,but evning i take food by 8 pm. I just want to know is there any problem in this. And also i just do pooja,but i don't keep prashad.Because i have decided to keep prashad on 9th Guruvar. Please guide me for this. And also i want you to prayer for me. The thing is that,i am in love with a guy,he also love me.But religion,society are the problem between both of us. Please pray to sai for us. I really need everyones prayers and wishes. His engagement is there on 6 Dec.
Can anyone say which is the SAI story and SAIBABA’s Aarti to be read while SAI VRAT. Page created in 0.743 seconds with 69 queries.